Radha Devi and her husband, Dasrath Mahto belong to Rengalbeda village in Manoharpur block of West Singhbhum district, Jharkhand, India. Being small-scale farmers they depended on agricultural produce from a small farmland and a cycle repairing shop, their only source of income until 2014. Meeting expenses of the school for our children, Umesh and Priya, means we are always a bit stretched for money, shared Radha Devi. So as a supplementary source of income they tried rearing goats. However high death rates among the goats meant this was not a profitable venture either for them or others in their village. 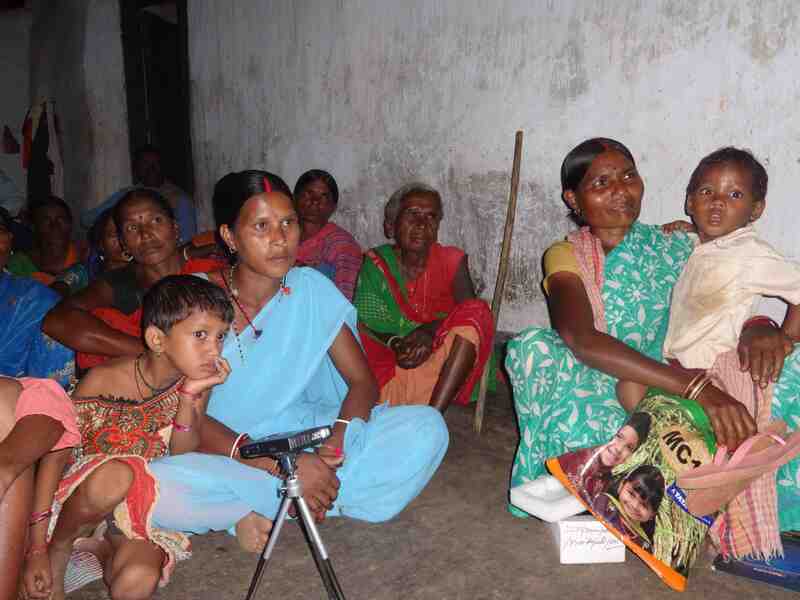 In the year 2014 Jharkhand State Livelihood Promotion Society (JSLPS) was expanding its work in the area. They were selecting women from every village to be trained as Ajeevika Pashu Sakhis (APS). Radha Devi applied and got selected as well. Radha Devi was trained as an APS in September 2014 and started her work in the field of Goatery. Initially her husband was a little apprehensive about her work and doubted if she could manage. He also tried to stop her from working thinking that she may be blamed for the death of other peoples goats. But Radha Devi was not fazed. She de-wormed her own goats at first and all ten goats continued to be healthy. This instilled a lot of confidence in her and her husband. The villagers too needed a lot of coaxing and trust building and Radha Devi did not give up easily. Her hard work had developed faith of villagers on her and they started calling her for examining their goats and poultry. In April 2015 Radha Devi went on an exposure visit to the Goat Trust in Lucknow during a training, which further enriched her experience and profile. I had never been out of my village before this visit and had never been on a train before, shared Radha Devi. In January 2016, she received the second level of training from JSLPS along with the training on Digital Greens approach and facilitated dissemination of videos. 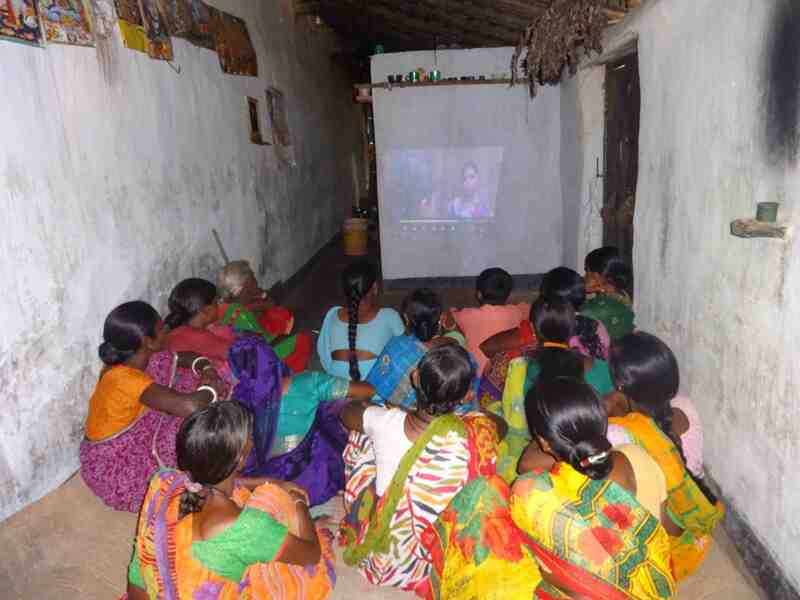 Video dissemination and facilitation training has change my approach of interacting with villagers. I am now using JSLPS-DG videos to disseminate the knowledge. This made my work easy. People adopt the practice more easily after watching the video, she shared. More and more families have now started rearing goats in our village now. 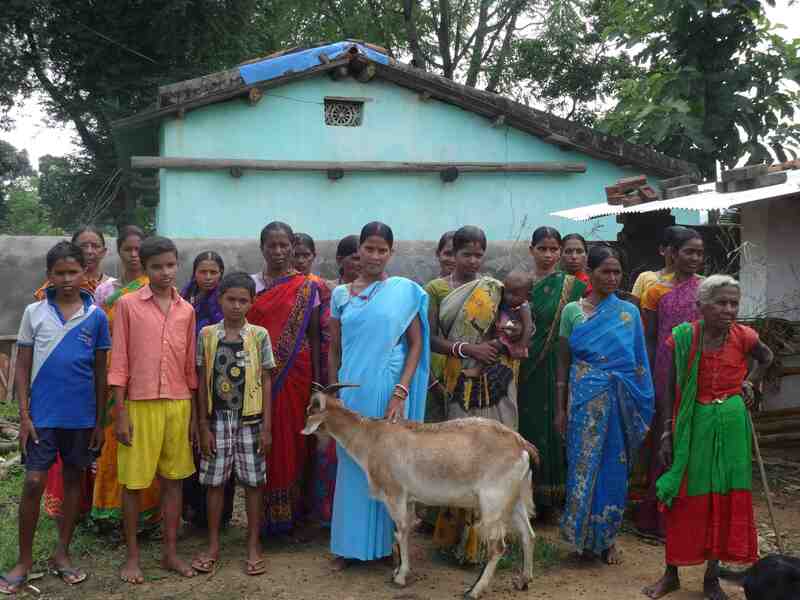 15 new families have started rearing goats this year, taking the total number of goat rearers in our village to 55. Poultry rearing has also become popular, with a total of 84 families of which 14 started this year, shared a proud Radha Devi. The volume of her work has also increased compared to last year. This year alone she has de-wormed 700 goats; and vaccinated 600 goats, which is the record vaccination by an individual APS this year in JSLPS. As a result, there is a sharp decline in the death rates among goats and poultry and the villagers are happy with her work. Radha Devi is happy and content while sharing, No doubt, goat rearing has added to the livelihood of villagers. Now the village is recognized for goats and people come directly to the village to buy the goats and villagers need not even go to market. Apart from this, goat rearing has decreased the dependency of villagers on cow dung manure and everybody in the village is using goat excreta as compost in agriculture. Radha Devi has 31 goats of her own. The population of goat in her village has grown from 300 to 704 today and that of poultry is 1,300 with minimal or no deaths. Working as an APS, I earn INR 3,500-4,000 on an average every month, which is an additional income to my family. I spend this money to buy milk for my kids and in their schooling, She shared with pride. Apart from this, my work has earned me a lot of social respect and now every villager recognizes my contribution, she adds.